Maxar Technologies Ltd. (NYSE and TSX:MAXR) ("Maxar" or the "Company") is advancing the company's domestication into the United States and expects to complete this process in January of 2019, subject to security holder approval. 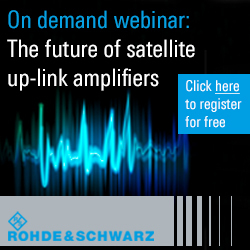 Howard Lance, president and chief executive officer of Maxar, said, "U.S. domestication has been planned for many years as part of the Company's U.S. Access Plan. Today's announcement represents an important milestone for Maxar and will further advance our efforts to service and compete for future U.S. government contracts. U.S. domestication will accelerate our growth trajectory and better position Maxar's corporate structure to support our business strategy." Maxar will continue to list its shares on both the New York Stock Exchange (NYSE) and Toronto Stock Exchange (TSX). Maxar does not anticipate any impact on its employees, customers, suppliers, or other stakeholders as a result of its U.S. domestication. As previously announced, Maxar will transition to U.S. accounting standards and securities filings effective with its U.S. domestication. The Company believes this will make its financial results more transparent to a wider audience of investors and provide increased comparability with U.S. aerospace and defense peer companies. The Company committed to U.S. domestication no later than December 31, 2019 as part of its closing of its acquisition of DigitalGlobe on October 5, 2017. A special meeting (the "Meeting") of security holders of Maxar (the "Maxar Securityholders") will be held at 11:00 a.m. (Mountain Time) on November 16, 2018, to consider and vote on the proposed plan of arrangement (the "Arrangement"). Maxar Securityholders as of the close of business on October 12, 2018, the record date for the Meeting, will receive notice of and be entitled to vote at the Meeting. The board of directors of Maxar unanimously determined that the U.S. Domestication is in the best interests of Maxar and is fair and reasonable, and unanimously resolved to recommend that Maxar Security holders vote in favor of the Arrangement. The U.S. Domestication will proceed by way of a plan of arrangement (the "Arrangement") pursuant to the Business Corporations Act (British Columbia), whereby the ultimate parent company of Maxar will become an entity incorporated under the laws of the State of Delaware in the United States of America (the "U.S. Domestication"). 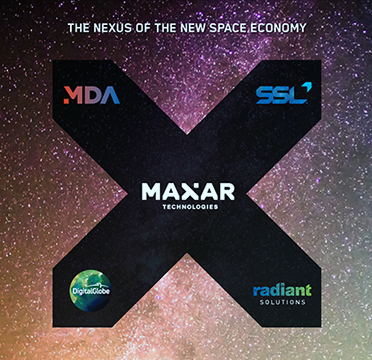 It is anticipated that the new parent company will be named Maxar Technologies Inc. ("Maxar U.S."). Pursuant to the Arrangement, Maxar U.S. will acquire all of the issued and outstanding common shares of Maxar (the "Maxar Shares") in exchange for one share of common stock of Maxar U.S. (the "Maxar U.S. Shares") per Maxar Share. Following completion of the Arrangement and the U.S. Domestication, Maxar U.S. and its subsidiaries will carry on the business currently conducted by Maxar and its subsidiaries. The terms and conditions of the Arrangement will be disclosed in further detail in a management information circular to be mailed to Maxar Securityholders in advance of the Meeting. A copy of the management information circular and related documents will be filed with the Canadian securities regulatory authorities and will be available under the Company's SEDAR profile at www.sedar.com, under the Company's EDGAR profile at www.sec.gov and on the Company's website at www.maxar.com. In connection with the U.S. Domestication, the Toronto Stock Exchange has conditionally approved, and the New York Stock Exchange is expected to conditionally approve, the listing of the new U.S. parent, Maxar Technologies, Inc., under the symbol "MAXR," the same symbol under which Maxar shares are currently listed. Subject to obtaining required court approvals, as well as the satisfaction of all other conditions precedent, if Maxar Security holders vote in favor of the Arrangement, it is anticipated that the Arrangement will be completed on or about January 1, 2019.